And to the guy with trouble getting their zipper down- this happens with any toothed (not coiled) zipper, for the same reason. You are squeezing yourself into pants that are too damn small for you, putting too much tension on the zipper teeth. If you stop kidding yourself and just wear pants that actually fit you, you’ll never have this issue again. Great pants. I do however second the other reviewer that suggested a gusseted crotch. i love ben davis pants and have been wearing them since i was in 8th or 9th grade and i still love them but i have to say i definitely liked the snap button on front better, and the shirts that were made in china i had bought one a few years back and i didnt like it as much as the ones made in the U.S. I love Been Davis original pants and have been wearing them for about 20years. I’ve never had an issue with them until a couple years ago. 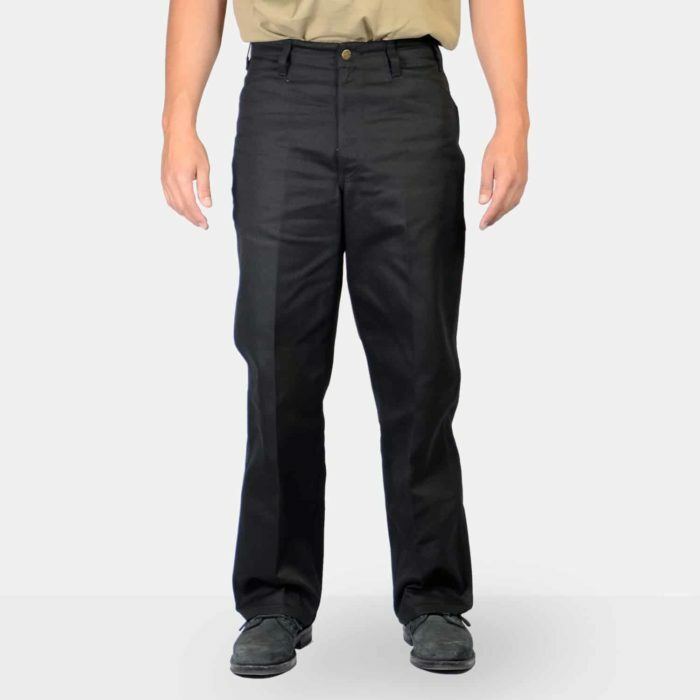 I ordered a few pairs of black original pants and one pair of the cotton pants. Right away I wasn’t a fan of the cotton ones. Then soon after only wearing them a few times the stitching came undone in the crotch so I really wasn’t liking them after that. The issue that I’m really not happy about though is that two of the three pairs of original pants I ordered have zippers that won’t zip down unless I undo the button. It’s a real bummer when I’m in a position where I need to get the zipper down quickly but it’s stuck until I undo the button. I’m still dedicated to your pants, just figured I should mention this problem. You can always return or exchange if you are not satisfied. It would be nice if you offered some red Ben Davis pants to match the shirt you guys make. 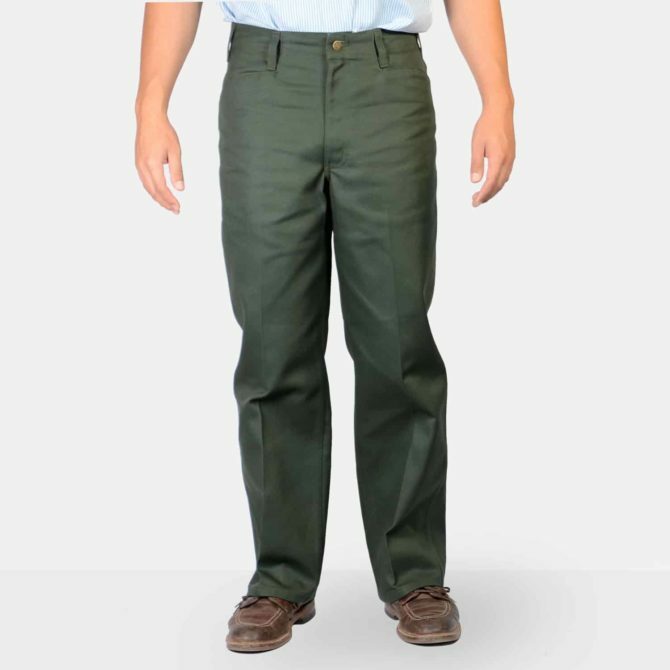 Somewhere in the mid 90’s you changed the sizing on original Ben Davis work pants…why? I used to wear your size 32×34. Then in 95 or so, they got huge. I had to drop down to 30×34. But you stopped 34 length in that size…again, why? Faithful customer since the ’70’s wants his size back in stock. from the pics it looks like you finally got smart and quit the “change” you made several years ago to cheap, stupid, problematical BUTTONS! and it also looks like you quit the other “change” you made to making them Slash front pockets instead of the tried and true Straight pockets your pants were always famous for. not knowing you also “farmed” them out to asian sources, perhaps that is why all those assinine changes were made. 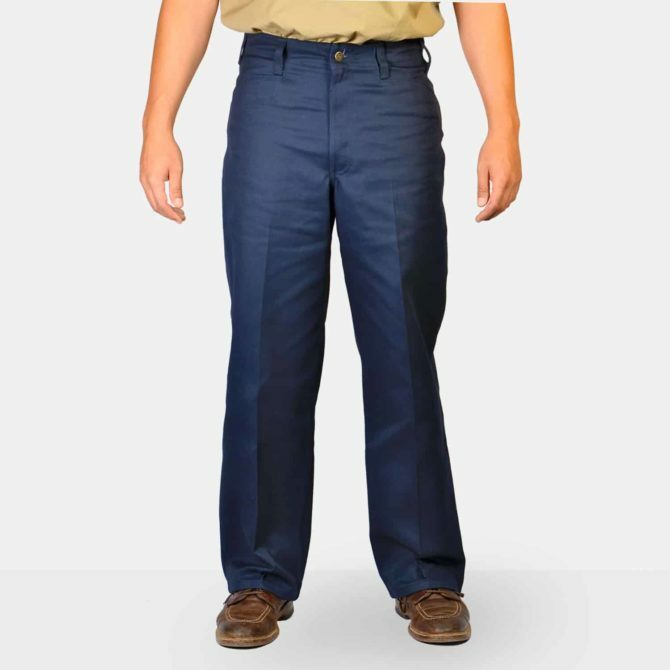 as a testimony to the American made standards you USED to have, i am still wearing the same American made Ben Davis pants I bought many years ago! too bad my local Sears no longer carries the Ben Davis line of clothing. I’ll have to see if the only store in Redding, CA that carries them are done with the slash pocket and button closure and are carrying the snap closure, straight pocket line i see in these pics. and whether they still fit like they used to and are comparably priced to your site. would love to see them made in America again. Ben Davis pants are the go to pants for discerning bikers and the American worker! -We changed from the snap to buttons because that’s what customers, largely, wanted. -We’ve never made our Original Ben’s in Asia. -We’ve used the same pocket style since 1935, not sure what pants you’re talking about.